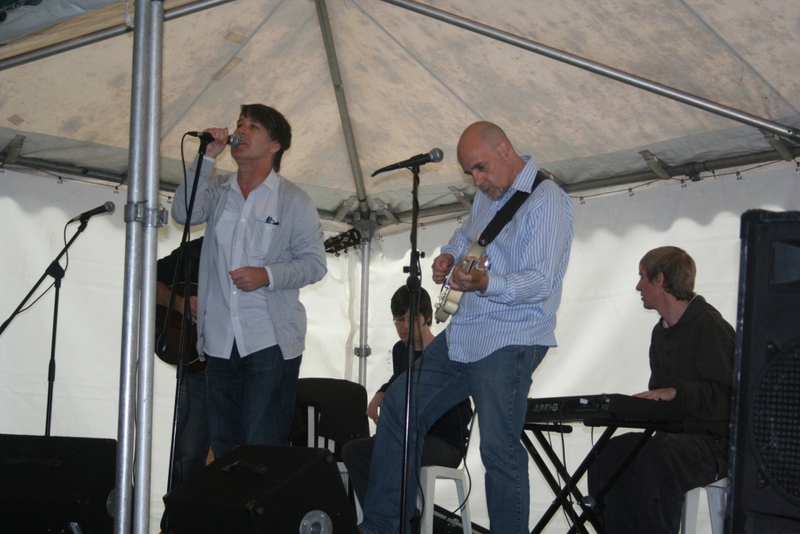 The Legendary Eighties Band China Crisis made a guest appearance at our Celebration Day Event on Sunday. It was a “best kept secret” and they wowed the crowd with their musical flair sprinkled with humour. Gary Daly said “He felt like the Vicar of Dibley, but that he would draw the line at judging the bonnie baby competition.The event was a celebration of the new park play area that we have worked so hard to raise funds for. Posted on September 9, 2009, in china crisis, esther mcvey, iain dale, leisure, local conservatives, new labour, Parks and Leisure, wirral globe, Wirral News, wirral west and tagged 7 waves radio, big lottery, community spaces fund, flickr, Meols Park Refurbishment, Parks and Recreation, twitter, Wirral News, wirral.community. Bookmark the permalink. Leave a comment.